Like a shiny new penny! That’s the first thought that comes to mind when I look at this beautiful copper color! 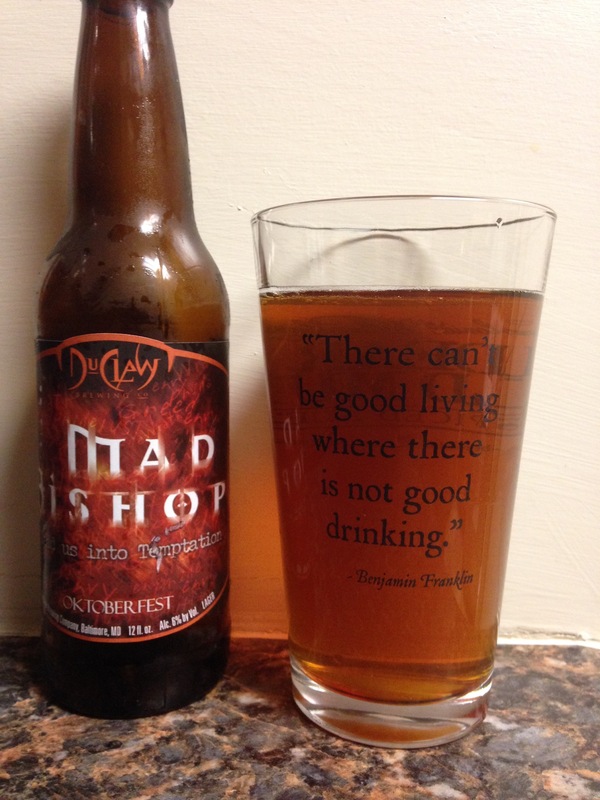 Du Claw gives us “Mad Bishop” which gives off a “malty” smell, fantastic color and a pretty tasty Octoberfest beer! It has a 6% alc content, a cool story on the bottle and a very drinkable beer! I like it! 3.5 stars! Enjoy!